As one of the first e-bike brands to strike it big as a household name, Haibike has been dedicated to this whole electric bike thing for a while. Their first e-bike, the Haibike eQ XDURO, launched at Eurobike in 2010. It’s taken the rest of the mountain bike world the better part of eight years to embrace the growing niche. 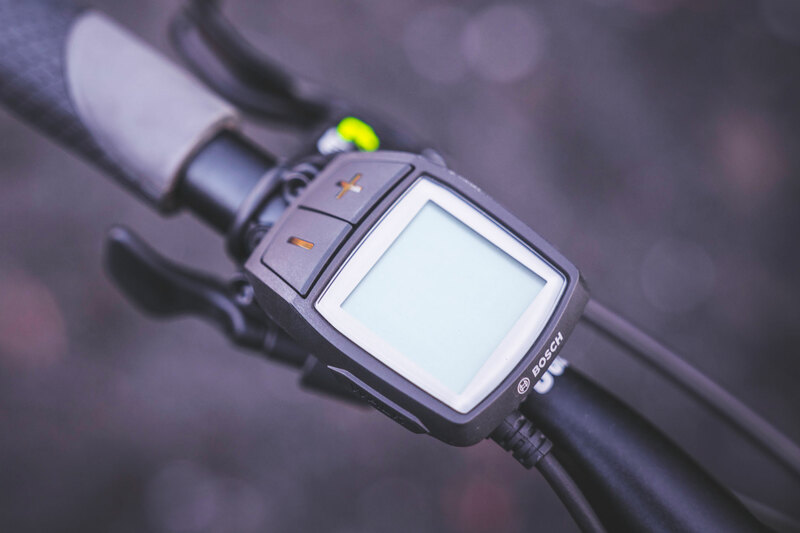 While countless brands are evolving and developing new e-bikes, has Haibike remained at the forefront of e-bike technology, or have they been passed up by the many newcomers? 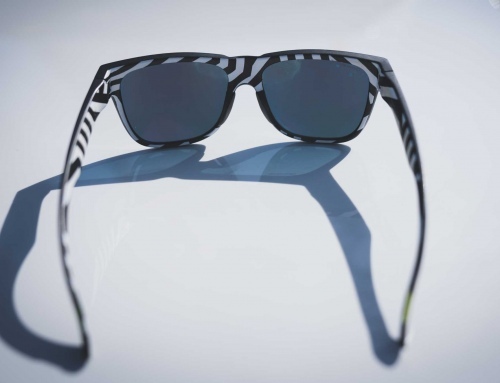 Let’s dig in and find out where the Xduro Nduro 10 stacks up. 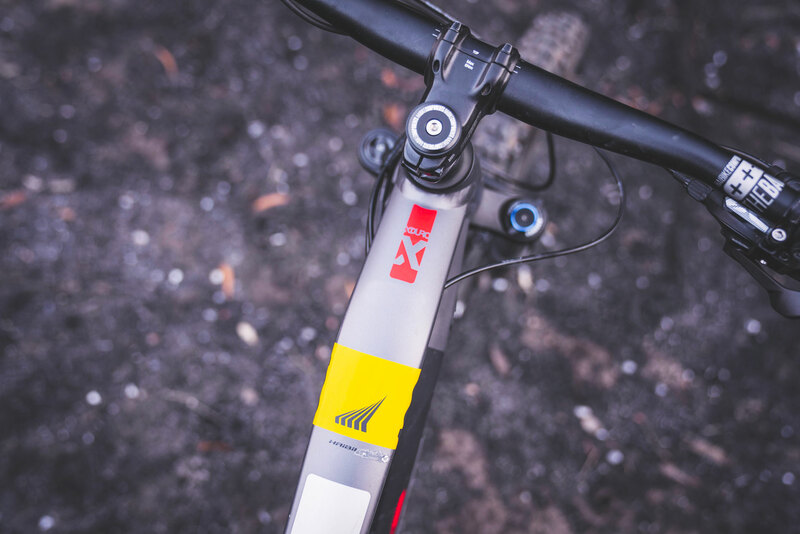 With 180mm of front and rear travel, the Xduro Nduro is a force to be reckoned with on the trail. The 6061 aluminum is an unapologetic and unstoppable brute. Haibike utilizes the Bosch Performance CX 350w motor, a Powertube integrated 500wH battery and Purion controller. The motor puts out 75nm of torque. 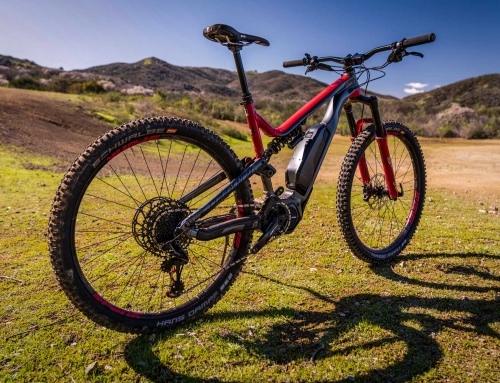 Bosch’s controller also packs “EMTB mode” and we’ve come to love it on shorter, fast paced rides. The smart, EMTB mode uses several factors to intuitively deliver power that automatically adjusts depending on terrain, power and cadence. Another great feature for veteran riders and newbies alike is the shift detection feature. The motor protects your chain by cutting off the torque during shifts for smooth gear changes and longevity. The SRAM EX1, 8-speed drivetrain on this bike is also limited to a single shift per push. 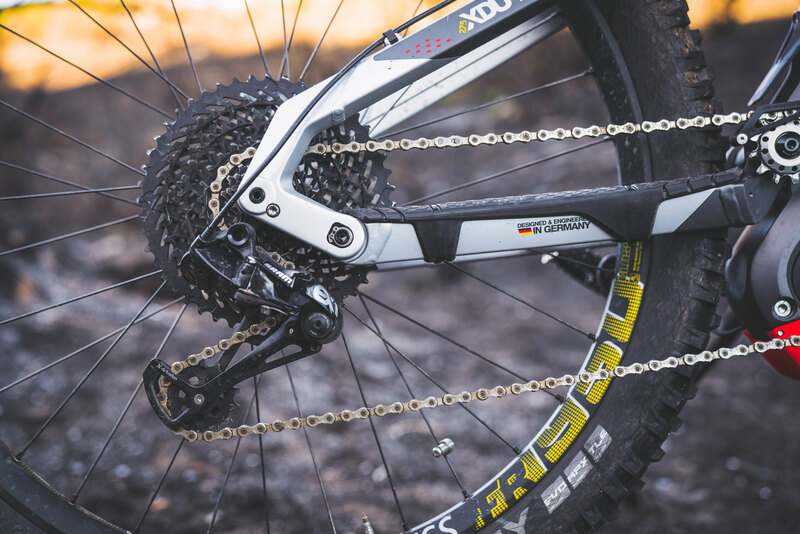 This ensures the chain will not be forced to make major movements over the cassette under load. 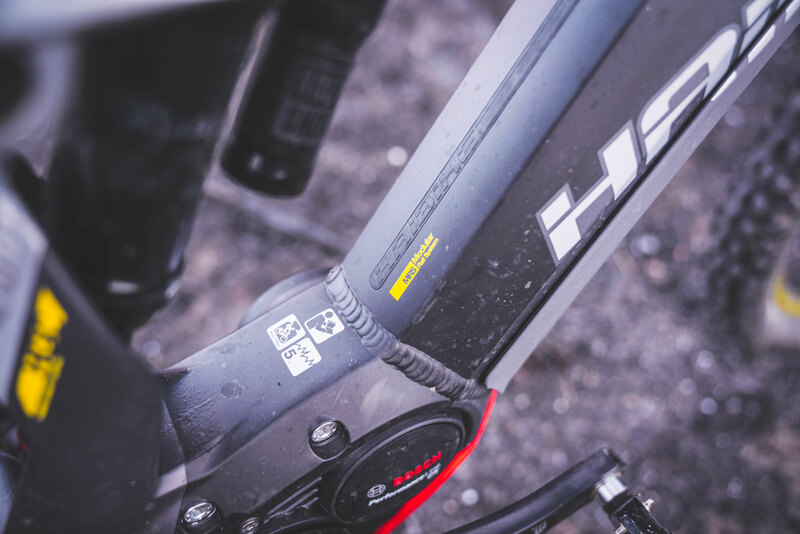 While the lack of gears was a bit of a bummer, we understand there are reasons behind the design, like chain thickness and drivetrain durability but would have been happy with a few more options. Haibike uses a high pivot, elevated chainstay design on the Xduro, which lets the rear axle move upward and out of the way of impacts. 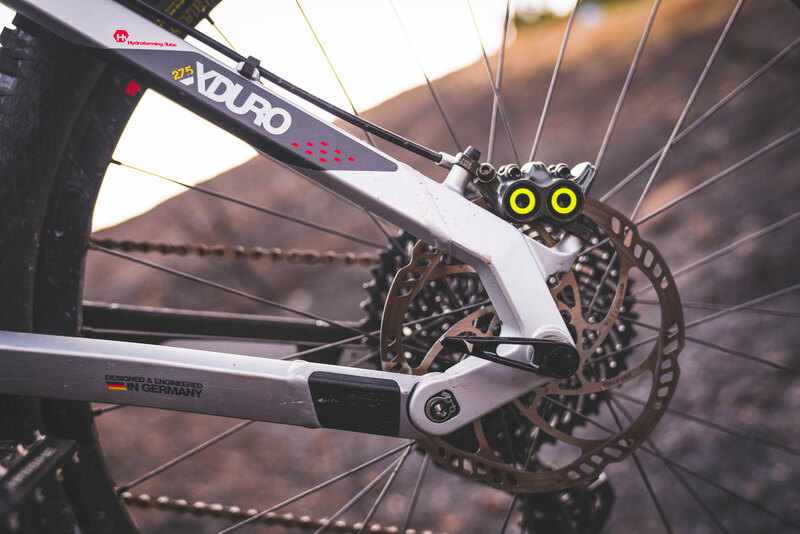 Because of the high pivot design, Haibike employs a pulley wheel to reduce suspension influence on the drivetrain. The pulley also has an integrated chain guide. The pulley adds to the overall noise of the bike while pedaling, somewhat masking the noise the of the motor. 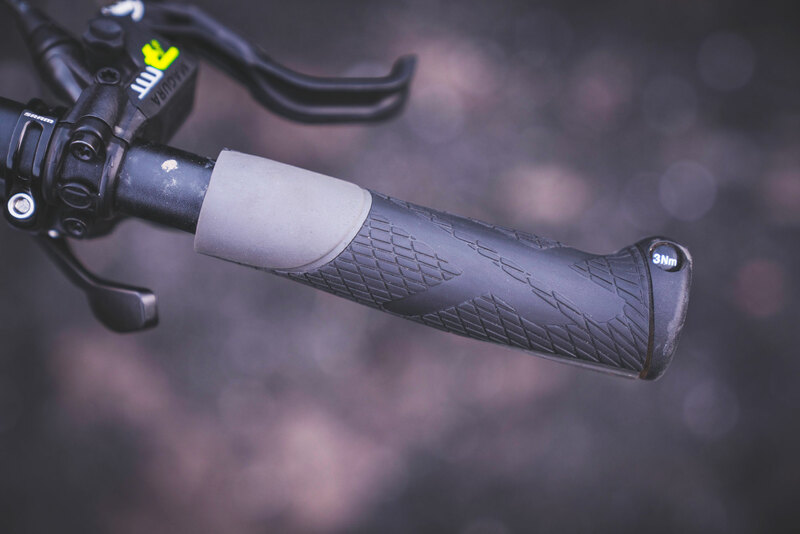 Haibike has a rail system on the downtube that accepts a bottle cage, accessory bags or whatever else you need depending on your preferred riding demands. The magnetic FidLock system tucks in neatly and works well for storage. Of course, all your accessories have to be FidLock friendly. 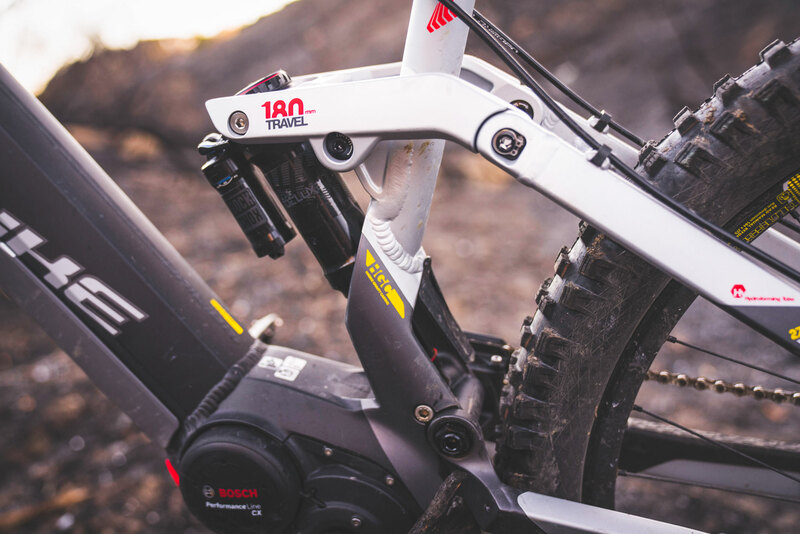 A Rock Shox Lyrik RC sits up front, and a Rock Shox Super Deluxe RC3 handles the hits out back. Both are solid, but lack some adjustability and performance compared to higher end suspension. For the $7,300 price tag on this rig, we’d expect something a bit higher end. Most notably, the fork flex was a cause of concern. The suspension felt incredibly plush, but part of that could also be due to the flex of the fork, which brings up the question of lifespan on these heavy bikes and current products. It’s still a relatively new world but we’re excited to see products evolve around the growing eMTB genre of riding. 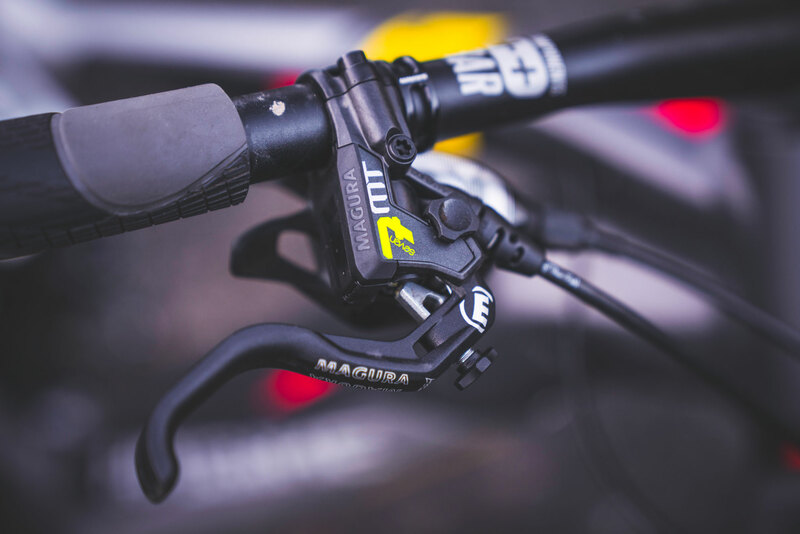 One part of the spec we love and find really help the bike’s aggressive intentions are the Magura MT7 brakes. 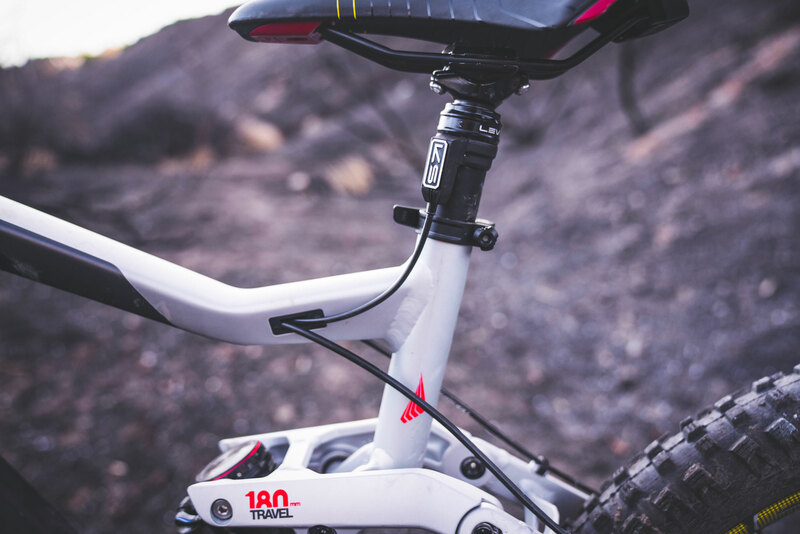 Impressive power and solid lever feel gave us reliable confidence, even on the steepest terrain. 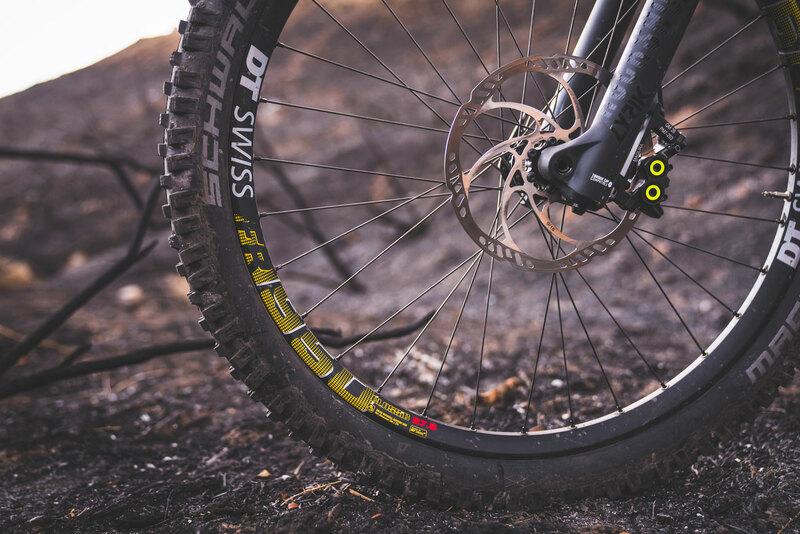 The Schwalbe Magic Mary tires and DT Swiss FR hubs and rims also stood out during our test period. While most e-bikes tend to skimp in this category, the Xduro Nduro is ready for a beating. On the not-so-hot list…The XLC lock-on grips are simply not acceptable and were instantly replaced. 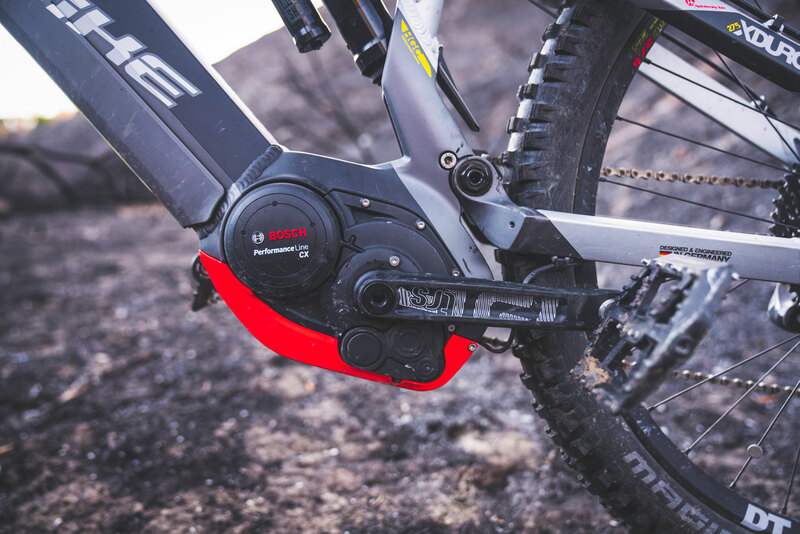 At a whopping 58 pounds, Xduro Nduro is the heaviest e-bike we’ve tested here at The Loam Wolf. 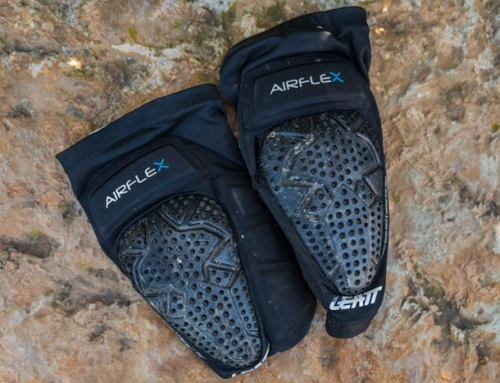 That weight and the grip spec made us come into the review thinking the worst. We’ve been on some pretty impressive bikes this year, and at first glance didn’t think the Haibike would measure up. We were wrong, partly. The Xduro Nduro may have a funny name and the bike packs some extra heft, but it’s an absolute bruiser. If you want an e-bike that will plow over anything in your path, this is it. 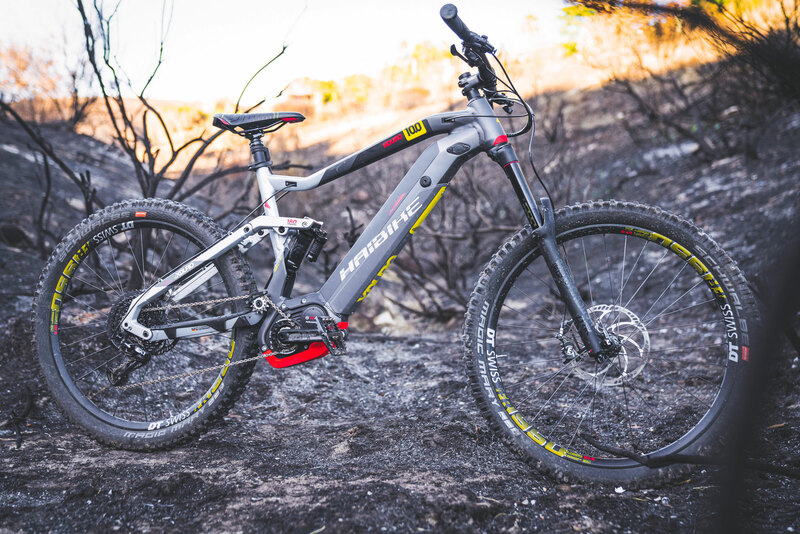 The Haibike is the one of the smoothest and most supple eMTB’s we’ve been on. Whether it’s square edge chatter or massive bomb holed rock gardens, the Xduro Nduro swallows them whole. The upward rear axle path and 180mm of travel combine to form a beautiful symphony of bump eating beauty. A slack 65-degree head angle and long 1,257mm (49.49 inch) wheel base add DH bike levels of stability at speed. In fact, we’d basically just categorize this bike as a single crown DH rig that shuttles you to the top of your favorite descent. This bike places stability squarely above agility. 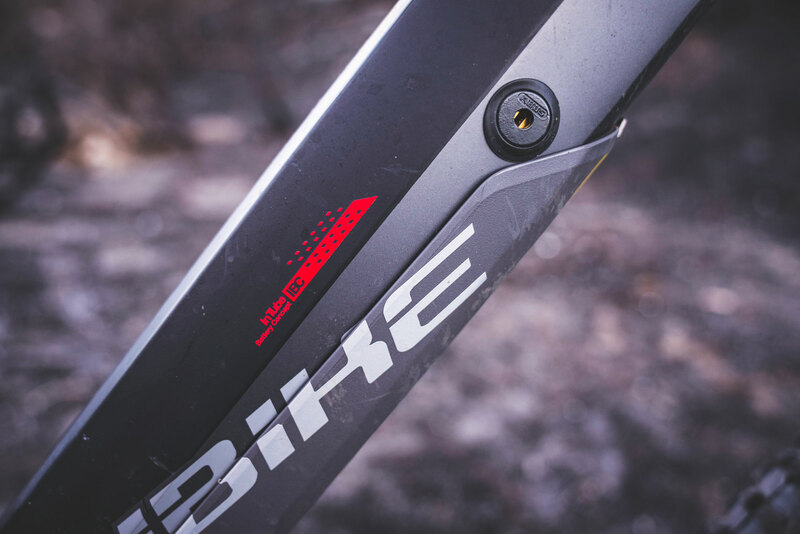 The wheelbase, weight, and slack angles cause sluggish response around switchbacks or tight, technical features. It lacks the light footedness that bikes like the Pivot Shuttle or Norco Sight VLT have, but that may not be a factor for some. Not everyone needs a bike for tight switchbacks, and if you want something that can handle all out speed, the Haibike does the job. We have zero qualms taking this thing into full on DH territory, relying on the suspension and freight train stability to power us through. As a result of the weight and gearing, the 500wh battery doesn’t get us nearly as far as many of our other test rigs in the stable. It’s got a comfortable climbing position, but lacks an efficient pedal platform unless locked out. With the steep terrain we rode, our bike was only getting about 3,000 vertical feet and 10-12 miles per charge in the EMTB setting. Those numbers should be taken with a grain of salt though because our test loops are much steeper than most. After being on Eagle spec’d eBikes, the Xduro Nduro’s gear range feels limited on extra steep climbs. The large gaps between gears also make shifts awkward. Riders seeking a more efficient long distance bike should look at something else. This bike isn’t aimed at that audience. The Xduro Nduro is a bike with a purpose. A bulldozer on 27.5 wheels, we think this bike is best suited for riders who want an eMTB to replace their pickup truck shuttle rides to the DH trail. It’s a valid market too, and one that seems to be underserved by the plethora of 140-150 bikes. Hard charging, the bike’s long wheelbase, 180mm of travel and slack angles become assets in steep terrain. While other reviews complain about the bike’s sluggish nature, this rig became a regular pick for rough, steep rides where pedaling was only happening to get us to the real fun. We’d also change out the grip and fork spec, given the price tag, but other than those quips this is a solid out of the box bike. Ultimately, this bike is not for everyone. It’s prohibitively heavy for the older crowd looking for the benefits of getting out on an e-bike, unless you pedal from home. We had trouble picking it up onto bike racks or throwing it into tall truck beds. It’s also a very niche specific machine, which you could have guessed with its 180mm of travel. If you enjoy all day epics and long scenic rides, you’re probably best on another bike. 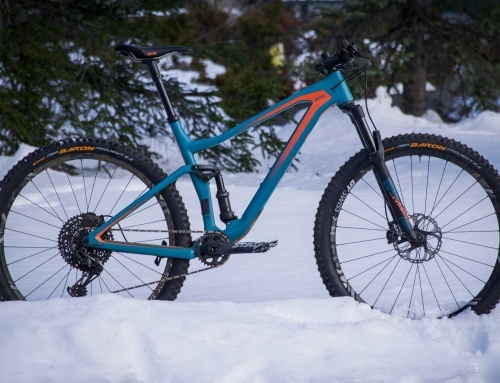 If you live for steep descents and are looking to find an eMTB that will keep your tires glued to the ground, give this thing a look.